Since it began in 2001, A Rocha UK has been instrumental in transforming Minet from a derelict and degraded area into a country park. Today, the 36 hectare site, situated between the A312 (Hayes by-pass) and Uxbridge Road, provides an oasis for wildlife and a valuable green space in this heavily built-up area. As a national charity with a local focus we have been responsible for the development of the 90 acre Minet Country Park with the London Borough of Hillingdon. It was opened to the public in 2003 and with its purpose-built cycle circuit, playground, picnic sites, grasslands, ponds and wildlife areas, has become an excellent resource for the surrounding community. 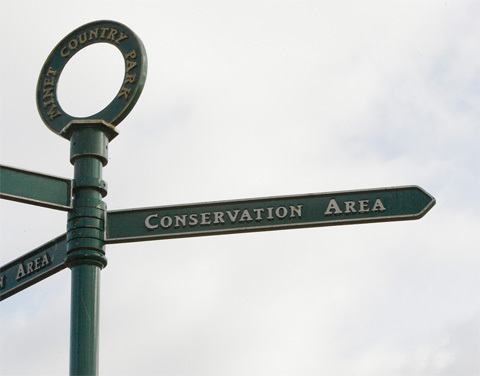 A Rocha UK uses Minet Country Park as a base for much of the local education work, and continues to run public events there to raise awareness of A Rocha UK and to encourage wildlife monitoring. The Lodge (visitor centre) includes a classroom, a small kitchen area and toilets, including disabled. There is a car park and a few picnic areas nearby. All pedestrian entrances have wheelchair and pushchair friendly kissing gates fitted with RADAR locks and cycle access. Minet Country Park is now established as a Green Flag site and, as such, A Rocha UK has completed its primary objectives with Hillingdon. Our ongoing aims with our work are to encourage local people to explore the wonders of God’s creation and to learn more about the beauty of the natural world first-hand. By coach: Access is from Springfield Road off the A4020 (Uxbridge Road). By bus: There are bus stops (207 and 427) at the north end of Minet Country Park with access points as shown on the map above. By foot: Entry Points (EP) can be found in the four corners of the country park (also marked in red on the adjacent map). The Minet recording area is not only the Minet Country Park but also all adjacent green areas including those owned or managed by British Waterways, Yeading Football Club and Guru Nanak School, and the canal up to where it passes under the main road in Southall. Some of the birds recorded have been seen flying over or past the site, or in the cases of gulls and some birds of prey, sitting on nearby buildings, such as the factories on Springfield Road, Hayes, or the gasometer in Southall, just across the canal. The lists given here of plants, birds, butterflies etc. were compiled from records created by A Rocha UK staff and volunteers or by other reliable observers, as far back as 1998. Until 2002, observer cover was relatively low and largely limited to birds, butterflies and the larger, more visible, mammals. More structured surveys, such as butterfly transects, are being carried out on an ongoing basis and species lists are likely to continue to grow. In addition, when specialists for particular species groups visit Minet, the resulting species lists from these studies will be added to the website. Minet Country Park and some of the surrounding areas are permanently open for people to visit. We are always glad to receive records of birds, butterflies and other groups. All records should be sent in to the A Rocha UK office. We are also keen to hear from anyone with specialist knowledge of particular invertebrate groups who would be willing to volunteer their time to carry out surveys at Minet. Again, please contact the UK office or email uk@arocha.org.